The Joint Precision Approach and Landing System (JPALS) was used for the first time in an operational setting, and the Autonomic Logistic Information System (ALIS) was used for the first time aboard a carrier, while Abraham Lincoln was underway conducting carrier qualifications and training in the Atlantic Ocean, according to a statement released by the Navy. 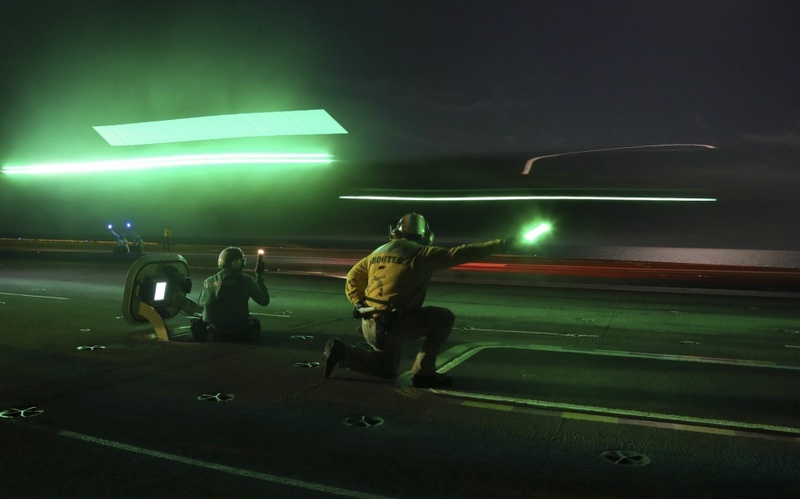 Also while Abraham Lincoln was underway, nine F-35C aviators with the “Rough Raiders” of Strike Fighter Squadron (VFA) 125, the “Grim Reapers” of VFA-101, and VX-9 carrier qualified in the Navy’s first stealth fighter. In October, F-35C aviators qualified aboard USS Carl Vinson (CVN-70), according to a Navy spokesperson. Since a portion of the qualification process occurred during periods of inclement weather, the squadrons tested the new JPALS in various conditions. The all-weather system works with the ship’s navigation system to provide accurate and reliable guidance for aircraft. Previously, F-35Cs had only used JPALS for developmental testing, according to a statement released by the Navy. When discussing the Lightning II on Navy Live, the Navy’s official blog in the summer of 2016, Navy test pilots lauded the aircraft’s landing mode. By 2025, Navy aircraft carrier air wings are expected to include F-35C, F/A-18E/F Super Hornets, EA-18G Growlers electronic attack aircraft, E-2D Hawkeye battle management and control aircraft, MH-60R/S helicopters and carrier onboard delivery logistics aircraft, according to the service. Meanwhile, Abraham Lincoln’s crew used ALIS, an information infrastructure allowing operators to plan, maintain, and sustain systems over the F-35Cs. ALIS provides a secure way to transmit up-to-date operations, maintenance, prognostic, support, training and technical data to users and technicians worldwide. ALIS is considered the IT backbone of current and future aircraft, according to a statement released by the Navy. 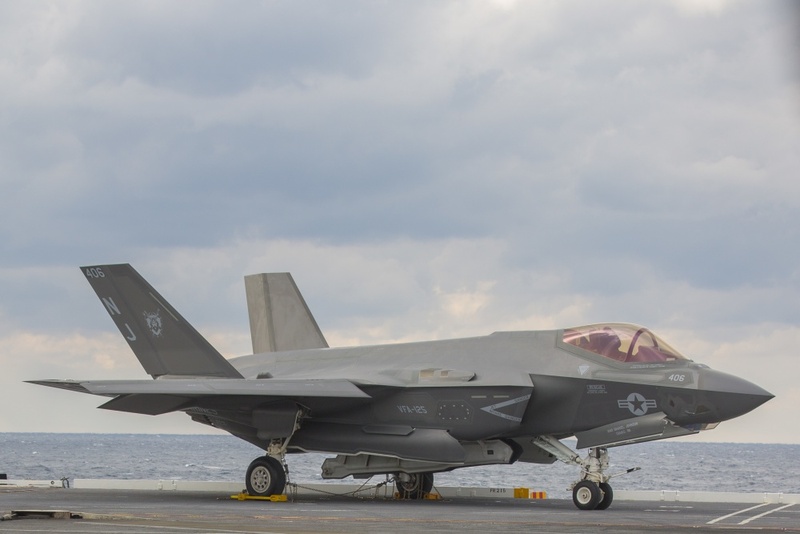 Below deck on Abraham Lincoln, the aircraft intermediate maintenance department performed their first unassisted F-35C tire change, according to a statement released by the Navy. The tire change is considered significant, the Navy statement explained, because the accomplishment suggests the airwing will successfully integrate with Abraham Lincoln.